Milk Chocolate Shamrocks. Chocolate Store, the online candy store with chocolate and candy. 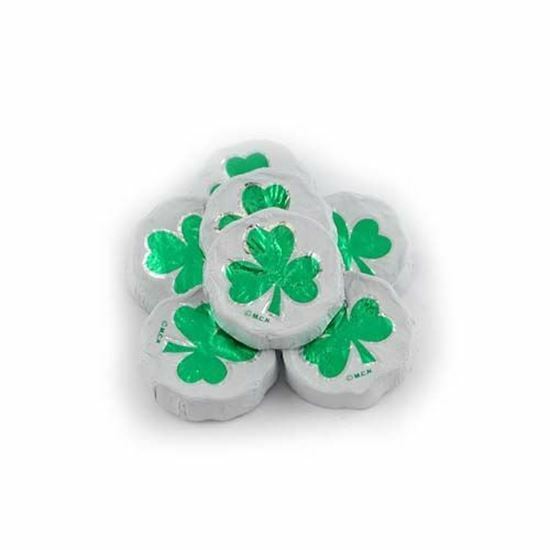 Milk Chocolate Shamrocks - For all you New Age Leprechauns who want to leave something other than gold coins on St Patrick’s Day try a Shamrock. Beautifully foiled in white and silver with a bright green Shamrock in the center the perfect Irish token. 58 pieces per pound. Typically only available January till about April.